located at 239 So. Plank Rd (Route 52) in the Town of Newburgh, 3.6 miles from the interchange of NY Route 9W and I-84, near the Tarsio Bowling Lanes. 1.“FULL CIGAR SOCIAL” = $25.00 per person Includes: 2 Premium Cigars; Snacks; Bottled Water; Coffee; Sports on a Large-Screen TV; and 1 Ticket for Raffle items (e.g. Humidor, Ashtray, Lighter, Cutter & more). 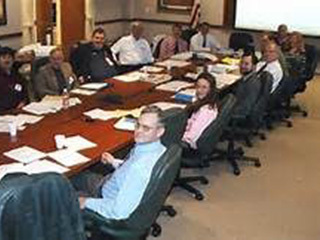 Using Grand Lodge guidance, the District Deputies, and members of the Past Grand Lodge Officers in Columbia, Dutchess, and Greene-Ulster Districts have scheduled a meeting to continue progress in the development of the district consolidation process, which began in 2015 with discussions among the then District Deputies and others of Columbia, Dutchess, and Greene-Ulster. 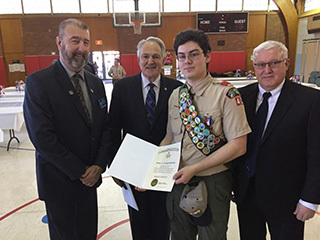 In doing so, they are fulfilling a primary responsibility assigned to active and past Grand Lodge Officers, namely development of district leaders. Sustained dialogue has resulted in the need to organize and begin work required for the efficient, and successful transition from the current three-district organization to a consolidated form should the Brethren in the Lodges of these districts agree to consolidate. The meeting is open to all Brothers in the three districts, who are invited to pose the questions they need answers for in order to make their decisions about the future organization of districts. The agenda will include progress reports since the last meeting, the consideration and hopefully adoption of a transition plan committee structure with volunteers for each to identify tasks and begin work. W:.R:. Tim Smith, of the “Old 17th” , a recently consolidated district will be on hand to describe the experience he and his Brother completed as they facilitated the consolidate process. Currently, the meeting procedure will follow an organization of two groups: (1) Present and past Grand Lodge Officers, and (2) other Brothers who wish to follow the process and pose questions. Members of Group I will describe process in each District, including the “Old 17th” and will entertain the transition plan draft currently being circulated then consider and possible adopt the committees identified in the plan. During the process description, members of Group II will observe. After progress considerations, members of Group I will become the observers as members of Group II pose questions and offer opinions and suggestions. 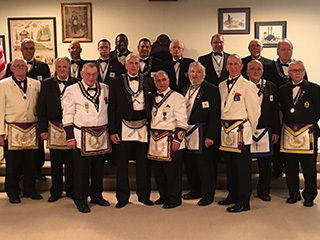 As a Brother-Bring-A-Friend Event across the Dutchess District, the Master and Brothers of Hendrick Hudson Lodge #875 have volunteered to host a Masonic Table Lodge on January 25th at the Hendrick Hudson Temple, beginning at 6:30 pm. 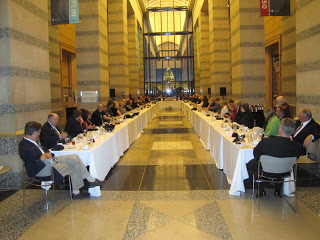 A beef stew dinner will be shared by participants. 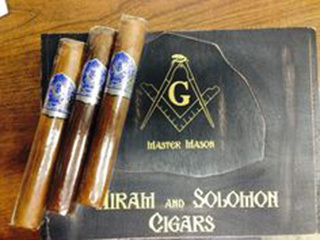 The ceremonies of conducting a Table Lodge may be traced over two centuries in English Masonry and detailed records exist of their even earlier observances in France. The ancient customs of proposing and drinking toast by our Scottish brethren is recorded during the reign of King James the First of Scotland in 1430. The traditional Masonic way to create warmth is to call the lodge “from labor to refreshment” in order for the Brethren to hold a table lodge. Good fellowship and brotherly love will follow, and in those lodges where there is good fellowship. The time is here and the 2017 registration is open for Camp Turk. WE NEED YOUR HELP filling camp. 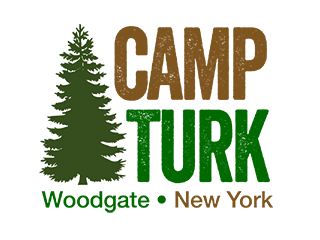 Please make sure you are setting up Camp Turk presentations in your lodge / districts, attending camp fairs, visiting schools or whatever you can to promote camp in your area. The only way to register for camp is ONLINE. There has been no increase in the price for camp however, a processing fee for credit cards has been added. For every $500.00 a parent pays via credit card, a $15.25 fee will be added. If a parent sends in a check or money order there is no processing fee although the deposit must be paid online with a credit card. *you can select the weeks you wish to attend. If you have someone in need of financial aid, please have them call Mollie Denslow at (315) 392-2081 between January 1st and May 1st (parents cannot get the Scholarship Application online). If anyone needs a power point outline, pop up stand or brochures or if you have any questions, please feel free to give Mollie Denslo a call. If you know of any college students looking for a summer job have them contact us. We are looking for lifeguards, general counselors, area directors, etc. We are also looking for registered nurses to work during boys camp, girls camp or both.